The sun set below a pink horizon, inviting the indigo sky of evening to creep forward. I relaxed in my living room, absorbed in a book, with a hot cup of tea lingering on the coffee table. I reached for my mug, feeling a slight tremor in my hand as I lifted the steaming liquid to my lips. I remembered the puckered brow that unfurled across my specialist’s face when he measured my grip strength at my most recent appointment. 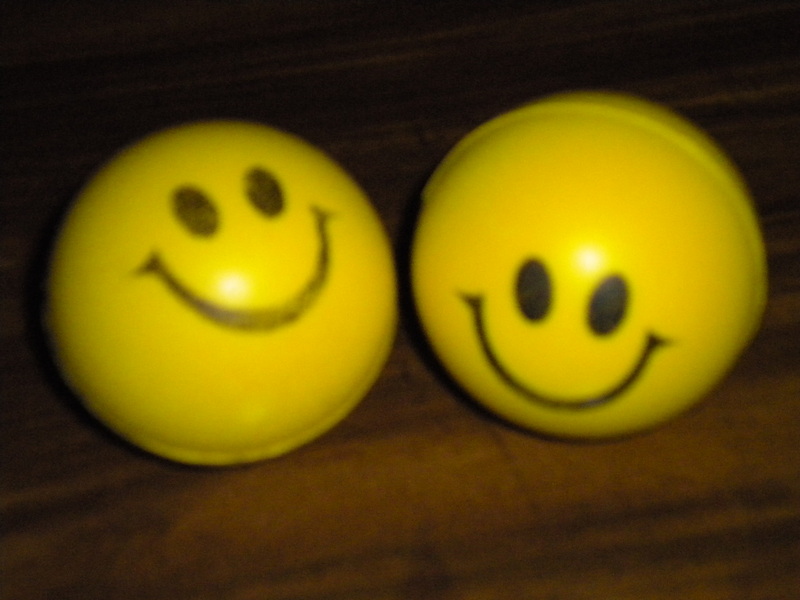 I got off the couch and went into my bedroom; from the top of my dresser, two sponge balls looked up at me with faded black-ink smiley faces ingrained on their bright yellow circular shape. I adopted them from the local discount store as an inexpensive and simple method to exercise my weary hands. I picked them up, allowing their pliable bodies to settle into my palms. I wrapped my fingers over them and squeezed, feeling them give way and collapse; I relaxed, allowing them to bounce back to their original form. I squished them rhythmically between my fingers, feeling the flow of warm blood revive my fingers after a full day of typing. The old lady wants to take my hands from me but I refuse, combating her stubborn will with exercise and strength training. Light and compact, my little hand balls can travel with me anywhere; I squeeze them while watching movies, reading, or waiting for the bus. There are days my hands feel like frail and puny objects, as if they are only ornamental dangling articles at the end of my arms; other days they are strong, and my fingers dance in a rhythmic squeezing, like a carefree salsa dancer lost in the cadence of her music. I need my hands to work for years to come, so I count on my squidgy balls to help keep my fingers in shape. Smart grrrl for staying on top of hand-strength. I have the same problem with my hands, but I do think that everyday typing (off and on all day) is excellent for range-of-motion and dexterity, if not actually muscle strength. The little smiley balls are a really good idea. I think I’ll get m’self a couple.